Product #21091 | SKU 021563 | 0.0 (no ratings yet) Thanks for your rating! The Highest Possible Protection against Extreme Wind-Noise. The Rycote Windjammer is compatible with the Rode Blimp Windshield and Suspension System. 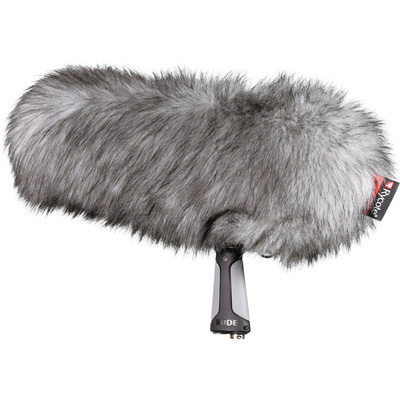 The Windjammer first introduced by Rycote is a high quality synthetic fur-cover, which provides the highest possible protection against extreme wind-noise. When using a Windjammer fitted over a Windshield up to 50 dB of wind-noise attenuation can be achieved, producing excellent standard audio recordings.